What Does It Mean to be a Problem Solver? When it comes to our relationships with customers, we’re not just metal fabricators, we’re also problem solvers. Typically, our customers come to us with a need for a high-quality prototype. They’re looking for a metal component that does exactly what they need it to do. 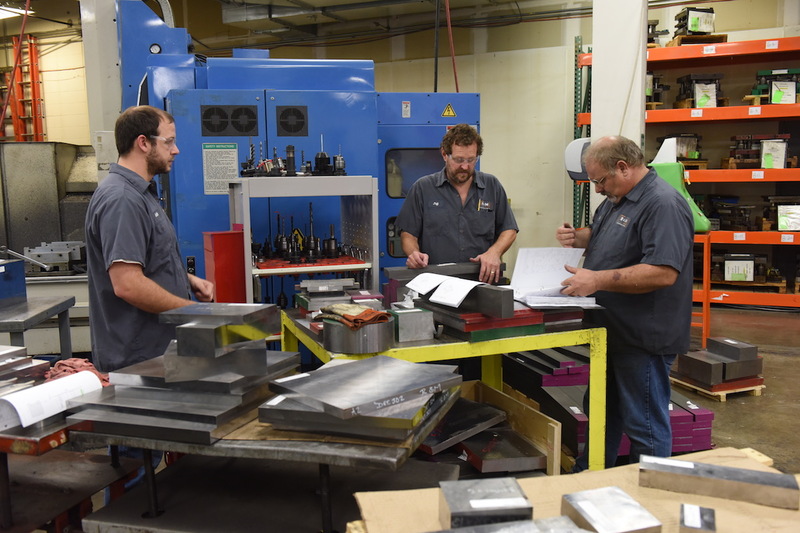 Developing, designing, and fabricating a new component depends on many variables, so we work closely with our customers to develop something that fits their needs and works within the guidelines of metal fabrication. Before designing a tool or manufacturing a component, we focus on a conversation. Our customers share what they need and want, and we listen. Our customers are experts in their industry and application, and we are experts in metal fabrication. It’s when both sides bring their expertise to the table that we can meet their needs. We’ve found that by taking the time upfront to understand what they’re trying to achieve, we can use that information to design and develop the best possible tool or component. Typically, but not always, customers come to us with an already designed part. We assess the design for manufacturability, function, cost per component, and any other relevant variables. If the part they’ve designed would be unnecessarily expensive to produce, we’re going to recommend ways for them to reduce their cost per component without compromising quality. Oftentimes, it can be as simple as revisiting the thickness of the material they’re choosing. If they can achieve the same result with a thinner gauge, we’re going to let them know. It doesn’t just come down to material thickness, either. We also give recommendations on areas related to wear, product specifications, and the type of coatings used. We’re looking out for any metal manufacturing variable that can make a positive impact. And because we’ve taken the time to understand the full concept of what our customers are looking to achieve, we have a very good idea what recommendations are worth bringing to the table. A lot of the time, we take on parts that other manufacturers have failed to produce or failed to deliver on the speed to market. If a current manufacturer isn’t getting it done, bring it to us. Our focus on the design process, combined with our understanding of what material can and cannot do, ensures a print with achievable dimensions. One of our mottos for potential new customers is this, “Give us your hardest part that you’re having the biggest headache with and let us correct it.” We’re ready and willing to show them that we understand manufacturing, we understand tooling, we understand stamping, and we understand how to deliver. And when we take a customer’s biggest headache and solve it for them, that’s putting our expertise front and center.